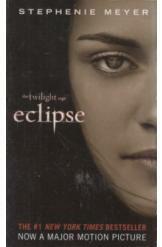 Eclipse book 3 of The Twilight Saga by Stephenie Meyer Sci Fi, 629 pages. The book is in an excellent condition, all pages intact. The book was a New York Times bestseller and became a major motion picture.